If you were to ask a Real Madrid fan about Fernando Redondo, there is a distinct likelihood they would begin with a smile. Given the title of ‘El Principe’, Redondo helped the club to two Champions League titles in his six seasons at the Santiago Bernabéu, bewitching the fans with his technique. An elegant runner with a graceful left foot, his poise was such that he could turn decisively in close situations to sashay clear of his marker. Thanks to the passing of time, Manchester United fans may have a similarly appreciative reaction if asked to discuss the Argentine, having watched him embarrass Henning Berg in a 3-2 victory for Real over the then-European champions at Old Trafford in a 2000 Champions League quarter-final tie. Advancing down the left touchline, Redondo ran with his back to Berg, before back-heeling beyond the Norwegian to recollect the ball at the byline. From there he teed up Raúl to finish into an open net. It was an astonishing piece of skill that etched itself into the minds of those who bore witness to it. Months after that moment – and more European silverware – Redondo was unmercifully flogged to AC Milan. Real Madrid fans protested his sale, but Milan fans barely had time to celebrate his arrival. In one of his first training sessions with the Italian club, Redondo broke down with a severe injury to his right knee. A player known for his incredible balance and delicate manoeuvring was now without fully functioning apparatus. The injury was a travesty in many eyes for various different reasons. Fernando Redondo was denied the final years of his extraordinary career and Italian fans were denied the opportunity to see his sumptuous skills up close. The Milan hierarchy were upset for matters of a financial nature. The club had spent €30m in transfer fees plus salary to bring Redondo to Milan. It was seen as money wasted. His wording is strange, particularly his use of the word ‘debt’. It suggested he viewed himself in much the same way as the Milan board did; a product that had indefinitely depreciated in value. He suspended his salary and attempted to give back the house and car that had been given to him. Aged 33, Redondo would eventually make his debut for Milan in the 2002/03 campaign. He would play a part for two seasons, but he wasn’t one of the best deep-lying midfielders in the world; he wasn’t the man Milan had signed. Milan resolved never to allow such a situation to arise again in future. “You can drive a car without a dashboard, without any information, and that’s what’s happening in football. There are excellent drivers, excellent cars, but if you have your dashboard, it makes it just a little bit easier.” Jean-Pierre Meersseman. Science plays a prevalent role in all sports and football is no exception. The days of players getting leathered on lager the evening before a game aren’t even a distant memory. Those days have long since passed into sporting legend, something to chuckle over in bewilderment at the naiveté of the times. As far back as the 1980s, Dynamo Kyiv were making use of scientific testing and rigorous analysis to accurately assess individual players and their place in the team, with the help of Professor Anatoly Zelentsov. Dynamo’s legendary manager Valeriy Lobanovskyi believed in the principles of using computers and statistics as a means for proactively mitigating error and enhancing fitness and organisation. To this end, his relationship with Zelentsov was integral to the success of his team. Dynamo won domestically and on the continent with opponents in awe of their physical and athletic capacity. Jean-Pierre Meersseman was not considered a football man. The Belgian was, and is, a chiropractor, albeit one with some intriguing concepts relating to the human body. Having advised the club for years, he became more involved with AC Milan in the early noughties, founding the Milan Lab in 2002. The project had a lot to do with the fate that befell Fernando Redondo, and dovetailed perfectly with Carlo Ancelotti’s managerial spell. The belief that the difference between victory and defeat was so microscopic fuelled Meersseman and the Milan Lab in their pursuit of meticulous data collection. The main aim was to gather so much information on each Milan player that individual injuries could be foreseen and prevented rather than merely treated. It was proactive rather than reactive. The Milan Lab incorporated many different techniques including kinesiology, psychology and neurology to ensure the enhanced fitness of players. Clarence Seedorf joined the club around the time of the Milan Lab’s inception. On his first day with the club, he made his way to the Milanello training facility and wandered into the Lab. The Dutchman would have his wisdom teeth pulled out in order to correct an issue with his groin. Temporarily painful, perhaps, but as the following decade was to prove, the end justified the means. Within a year, the Milan Lab was proving its worth. The number of total practice days lost had decreased, as had the club’s use of medicine. Injuries had lowered drastically. Meersseman’s methods may have seemed unorthodox to the outsider, but they were working. In 2003 Milan improved to a third-place finish. That same season they also thrashed Roma over two legs to win the Coppa Italia. In between those two legs, they defeated Juventus on penalties to lift the Champions League. That the final was seen as one of the most boring in recent memory was negligible; Milan were champions of Europe for the first time since 1994. The next season Milan would win the scudetto comfortably, finishing 11 points clear of Roma having lost just two games throughout the Serie A campaign. It was the club’s best league record since the expansion of the competition format in 1988, in this sense besting legendary former Milan managers, Fabio Capello and Arrigo Sacchi. For some, this was the peak of Ancelotti’s Milan. Having also picked up the European Super Cup in that exceptional 2003/04 season, the club would finish second behind the Juventus the next year. That wouldn’t be the only heartbreak, however, as they threw away a 3-0 first-half lead to lose on penalties to Liverpool in the Champions League final. In 2007, Milan steeled themselves for revenge as they once again prepared to face Liverpool in the Champions League final. Memories of two years prior lingered, evoking harrowing reminders of the consequences of complacency. 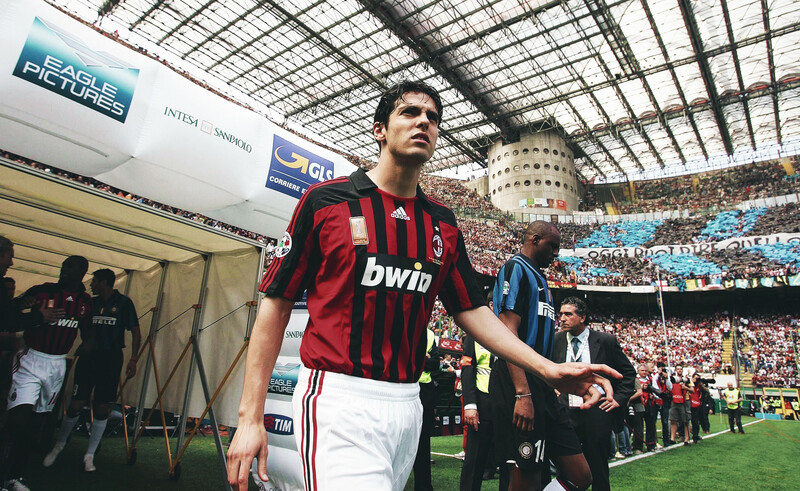 This Milan team was too old and too wise to repeat the mistakes of history, though. In fact, this team was the oldest, wisest group of players to walk out for a Champions League final in the tournament’s history. Just four of those in the starting line-up were below the age of 30, and three of them were in their late-20s. Only Kaká provided some semblance of youth at 25. But age was no barrier for this group. They ran out 2-1 winners thanks to a double from Filippo Inzaghi, their 33-year-old poacher. Their captain, the resolute Paolo Maldini, became the oldest to lift the trophy at 37. Trophies of a continental and intercontinental variety were the last pieces of silverware Ancelotti would win as manager of AC Milan before his departure in 2009. 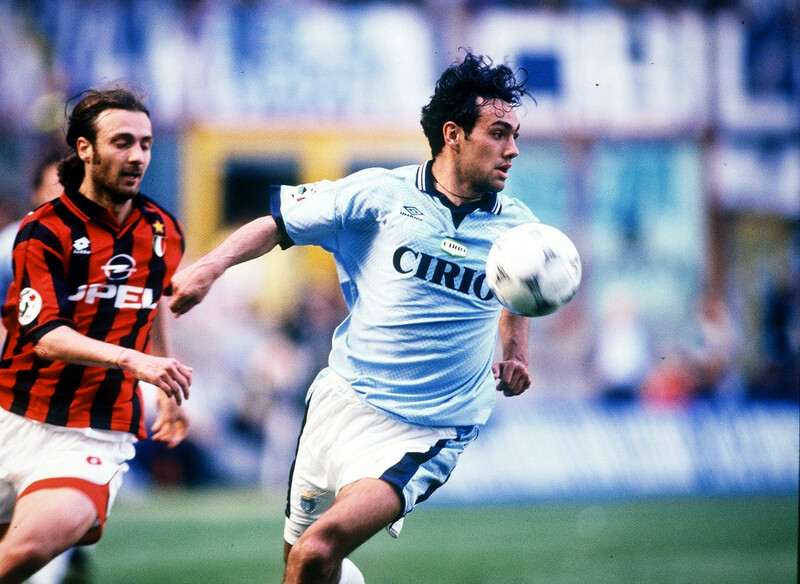 His spell in charge is mentioned in the same breath as that of Capello, Sacchi and Nereo Rocco. So what did the Milan Lab have to do with it? 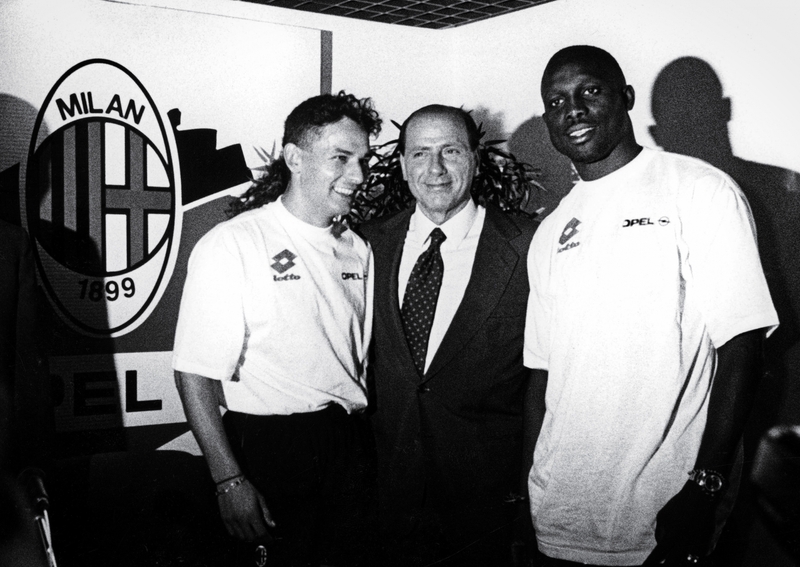 It’s hard to quantify the exact level of influence the Milan Lab had given that the project coincided with one of the club’s greatest ever managers. It must be assumed that Milan benefited from an effective correlated trident of Ancelotti’s management, the qualities of an outstanding squad of players, and Meersseman and his unscrupulous attention to detail in the treatment of those wonderful players. Those that made use of the Milan Lab facility testified to its positive effects. Such testimony could be the victim of nostalgia, however. Praise can be prone to over-eulogising and is not measurable. The same cannot be said of statistics. Judging by the results proclaimed and in evidence, Meersseman and his Milan Lab reduced the susceptibility of the club’s players to injury, increased their fitness, and prolonged their careers. It allowed Milan to maximise what they were able to produce from an ageing yet world-class generation. Maldini and Alessandro Costacurta were already in their mid-30s by the time the Milan Lab was put in place. They carried on playing into their 40s before retiring having spent their entire careers with Milan. The likes of Alessandro Nesta, Andrea Pirlo, Seedorf and Inzaghi, as well as Massimo Ambrosini, Gennaro Gattuso and Serginho played on well into their 30s. Indeed, Pirlo is still pulling the strings now, albeit away from the San Siro; the dulcet tones of his right foot having set the rhythm for an incessantly harmonic Juventus side in recent years. There were few blots on the copybook. Nesta spent the majority of the 2008-09 campaign out with serious back problems but recovered to play another three seasons. Gattuso spent six months on the sidelines that same season, but he too would return for a few more years of regular football. Inzaghi struggled with persistent knee injuries between 2003 and 2005 but was back to full fitness and form by the age of 32. The Milan Lab worked so well for its incumbent beneficiaries that the club began to sign older players, safe in the knowledge that their careers could be prolonged too. This was the case for Cafu and Jaap Stam. Perhaps the most famous example was David Beckham, who was told upon joining that he would be able to play until he was 38. The Englishman did as advised. Meersseman was always given the chance to veto any incoming players, too, something he reportedly did in 2009 when Aly Cissokho’s transfer from Porto was called off at the final hour due to dental issues. This allowance spoke volumes about the level of trust placed in the hands of the Belgian and his methods. He was a huge influence on Milan’s squad and transfer policy in a period of continual success. These days, Meersseman runs a clinic offering his services to a new clientele. His work with the Milan Lab ceased four years ago, although he is said to retain an advisory role regarding transfers. He continues his chiropractic work in the UK having made his mark in Italy. He remains a smoker. The Belgian once told an interviewer that “age doesn’t exist”. He believed that age was an irrelevance when compared to the physical and psychological make-up of the individual to perform. With the Milan Lab’s testing, analysis and predictive measures, age was perhaps the only number of no consequence to Meersseman. His viewpoint may be scientifically correct, but even if age doesn’t exist, retirement does. In 2012, Milan decided against renewing the contracts of Nesta, Gattuso, Seedorf and Filippo Inzaghi. Carlo Ancelotti, like Meersseman, was long gone, though he seemed determined to transpose the theories of the Milan Lab at Chelsea. Thanks to the science behind the scenes, the club had no doubt saved money on transfer spending and had protected their investments well, but their reliance on older players led to a bottleneck of talent. The effectiveness of the Milan Lab resulted in a lack of succession planning, with a nonchalance seemingly bordering on arrogance that the club could somehow resist the sands of time. There is a difference between prolonging greatness and stalling inevitable decline and as the greats of the last generation shuffled out of the Milanello and towards retirement, their replacements struggled to continue the legacy. Massimiliano Allegri was able to stunt the descent, but only temporarily, as the club cut back; selling its finest talent and terminating some of the activities instituted by Meersseman. His Milan Lab continues in name but by 2014 the club had spiralled to eighth in the league, as stark a confirmation as any – for a man with a faith in numbers – that an era was at a close.